Of Bonsai and Balance in the New Paracinema Magazine! 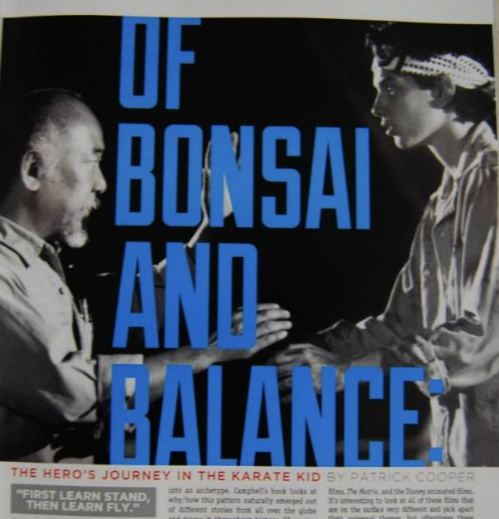 The new issue of Paracinema Magazine is now available and I’ve got an article about The Karate Kid and Joseph Campbell’s monomyth in it!It’s not as boring as it sounds! There are loads of other rad pieces in it, including ones about the subversive British horror and Coppola’s overshadowed masterpiece, The Conversation. You can order the issue from the Paracinema website or from a few retailers. My MA friends can get it at Newbury Comics or the Red Lion Smoke Shop in Salem. My mom is super proud of me!